Within version 74 of BW a new tcode was introduced. 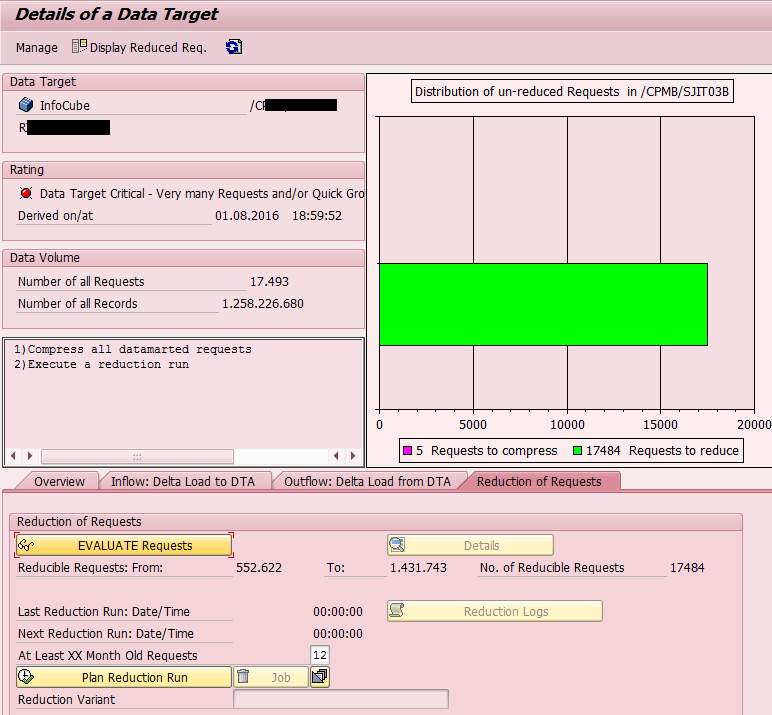 It is called RSREQREDUCE and it helps in housekeeping of data load requests. While using it a BW administrator can identify and reduce potentially large number of requests in InfoProvider. In case the InfoProvider has many requests in there it slows down the processing of such InfoProvider. 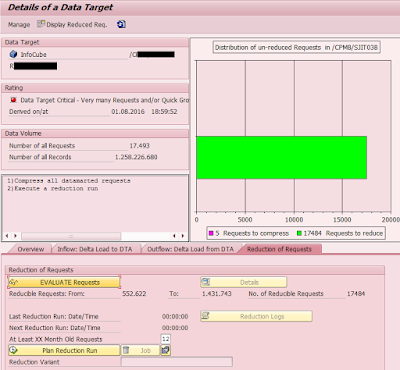 The tcode itself is ABAP report RSSTATMAN_REQ_REDUCE_DIALOG which calls FM: RSSTATMAN_CRITICAL_TARGETS. From its main screen the BW admin can run the request reduction itself by specifying parameters. I find the tool is quite handy. It is intuitive and it reveals the objects that have many request there in very straight forward way.